The 2nd World War ended this day 70 years ago. In 2 May 1945 the Germans surrendered to Soviet troops in the Battle of Berlin. Fighting continued near Berlin until the end of the war in Europe on 8 May 1945. 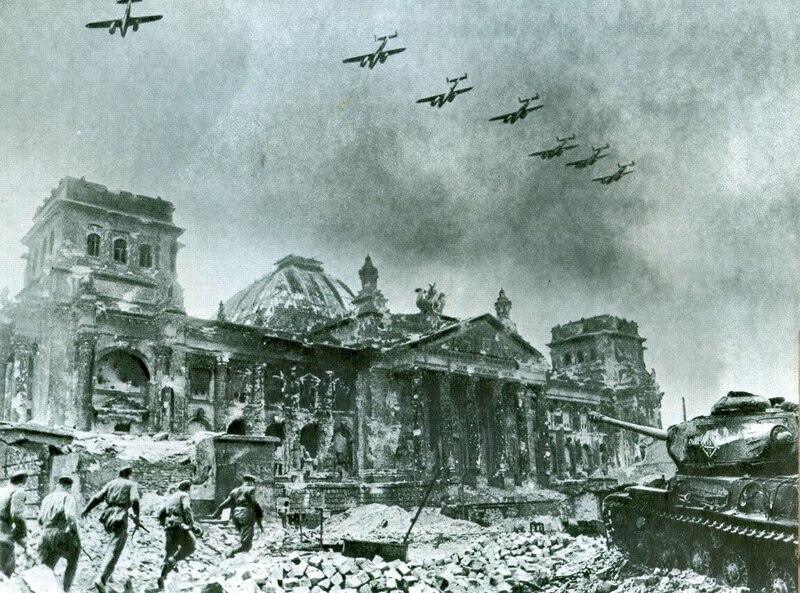 During the battle Berlin Reichstag became one of the central targets for the Red Army to capture due to its perceived symbolic significance. It was constructed to house the Imperial Diet of the German Empire. It was opened in 1894 and housed the Diet until 1933, when it was severely damaged in a fire. After World War II, the building fell into disuse. Berlin Reichstag on July 2014. 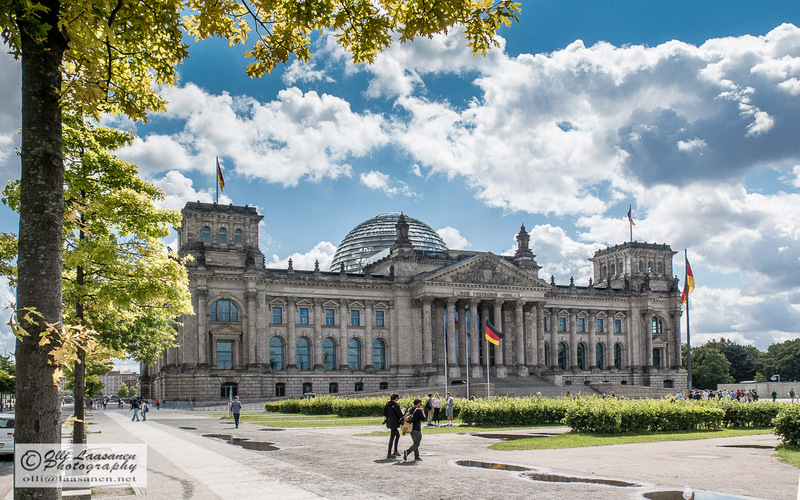 The next time, Reichstag was in a prominent role, was when the official German reunification ceremony was held there on 3 October 1990. In 1992, Norman Foster won the architectural contest for the reconstruction of the building though his winning concept looked very different from what was later executed. Notably, the original design did not include a cupola. During the reconstruction, the building was first almost completely gutted, taking out everything except the outer walls. Respect for the historic aspects of the building was one of the conditions stipulated to the architects, so traces of historical events were to be retained in a visible state. This entry was posted in Germany, photography, Russia (Soviet Union), Travel, Valokuvaus and tagged 2nd WW, Berlin, history, Reichstag, war. Bookmark the permalink. Most interesting photographs. What a tragedy. Before the English started the war, Germany tried to insist there never be aerial bombing. The allies refused. Germany then pleaded that they at least only bomb military infrastructure—never civilians. The allies did the opposite. They carpet and fire bombed residential and civic structures in as many cities as they could, regardless of their military significance, killing millions of civilians. Germany stuck to their values, and so London Paris and other cities remained virtually untouched and their civilians seldom hurt. It is wonderful that Germany rebuilt so many of their magnificent buildings, including this one. I realise the dome on the Reichstad is popular, but I think it is an aesthetic disaster. Thanks Rigby. I’m not sure if I got your point about the values of the warring parties, but I share your respect of the rebuilding of the buildings.